How and when did the film industry introduce the term of war veteran to the film dictionary? What would be the main themes and motives in connection to this term? What possible classifications and treatments of the term exist in certain genres? Is there a distinctive interest in some war themes that could be attributed to certain national cinematographies? Or does authors’ politics in dealing with the term play more significant role? The War Veteran in Film is a serial of lectures and film screenings that Doplgenger prepares within the project Naming IT War that Ignorant Schoolmaster and His Committees organizes at the Center for Cultural Decontamination. Film screening and the talk serve as an introduction for a public discussion with various experts and audience. Each discussion aims at contextualising certain films and articulating cultural/social/economic phenomenons they address. 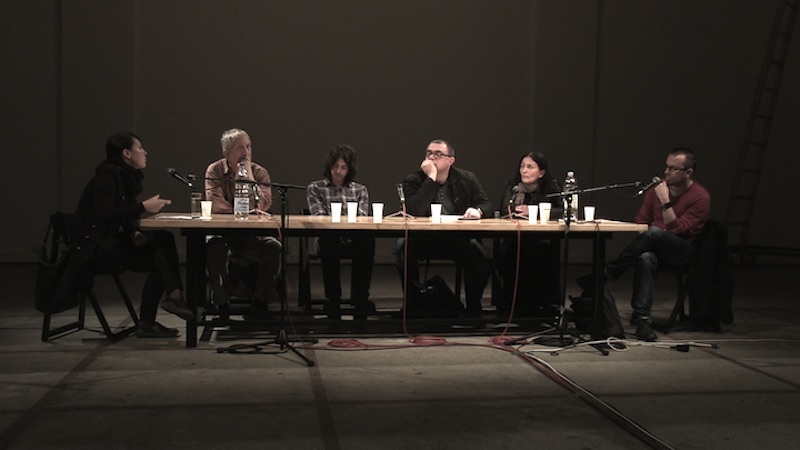 Panel discussion "Sorrow and The Pity – Images and/of War" at Center for Cultural Decontamination, Belgrade.